Home Off Beat	A milk glass that will light up your life! A milk glass that will light up your life! Children are always running away from the milk glass! To make them drink up parents try to lure them with all sorts of interesting glasses. Guess what! With the glass, I am going to present to you now, your task will be pure gravy. So, all you harassed parents out there – hold your breath and look at this glowing LED glass. 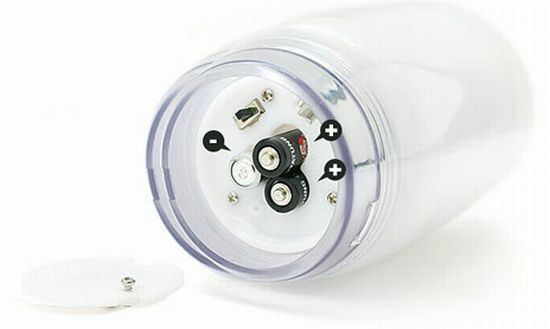 This milk glass is powered by three AA batteries. This cool glass will surely grab your kid’s attention and help you to lighten up and relax. 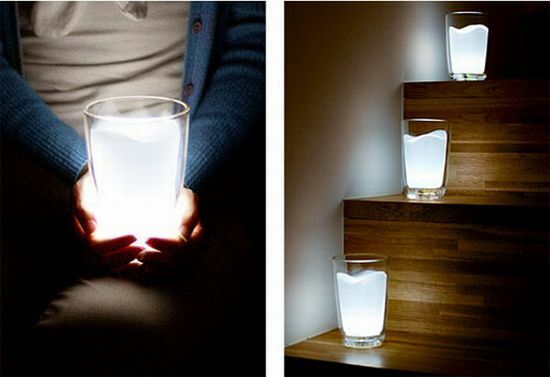 Need I add that it will look totally out of this world on your bedside at night?Quite a multifunctional glass that!